On Friday, fourteen European countries called to re-launch a conventional arms control treaty with Russia. Russian military experts have commented on the initiative, focusing on how the US president-elect might contribute to the proposal. The foreign ministers of 14 European nations have called to renew conventional arms controls to reduce military risks after seeing the existing treaties "crumble" in recent years. The initiative was put forward by German Foreign Minister Frank-Walter Steinmeier and was signed by Austria, Belgium, Bulgaria, Czech Republic, Finland, France, Italy, the Netherlands, Norway, Slovakia, Spain, Sweden and Switzerland. — GermanForeignOffice (@GermanyDiplo) 25 ноября 2016 г. ​In a statement released by the German Foreign Office on Friday the signatories called upon all states "that share responsibility for Europe's security to join their endeavor and to support a structured dialogue on conventional arms control in Europe." "We are convinced that a re-launch of conventional arms control is one important path towards a genuine and effective cooperative security allowing for peace and stability on our continent," the statement read. "Confronted with the increasingly unstable security situation in Europe, we see an urgent need to re-establish strategic stability, restraint, predictability and verifiable transparency and to reduce military risks," said the ministers. According to the document, the Treaty on Conventional Armed Forces in Europe is not being fully implemented and the OSCE’s Vienna Document needs to be overhauled. Some provisions of the Open Skies Treaty are also not being enforced. The original Treaty on Conventional Armed Forces in Europe (CFE) was negotiated and concluded during the last years of the Cold War and established comprehensive limits on key categories of conventional military equipment in Europe (from the Atlantic to the Urals) and mandated the destruction of excess weaponry. The treaty proposed equal limits for the two "groups of states-parties", the North Atlantic Treaty Organization (NATO) and the Warsaw Pact. In 2007, Russia suspended its participation in the treaty, and on March 10, 2015, citing NATO's de facto breach of the Treaty, Russia formally announced it was completely halting its participation. Commenting on the suggested initiative, President of the Academy of Geopolitical Studies, Colonel-General Leonid Ivashov noted that the US has long been opposed to the treaty. However with Donald Trump taking the country's highest post, the prospects for such an agreement considerably increase. "Let's wait when Donald Trump gets into office and defines the country's position towards NATO and Europe," he told Russia's online newspaper Vzglyad. However he noted that the previous treaty did not cover cruise missiles and naval forces of the parties, and did not apply to the territories of Poland and the Baltic states. In such a form the treaty has little value to Russia and the new document requires sustained negotiations with the participation of military and diplomatic experts. Meanwhile Alexei Arbatov, head of the Center for International Security at the Institute of World Economics and International Relations says that the proposed initiative has no connection with Trump's election. "This is just a reaction to last years' events. 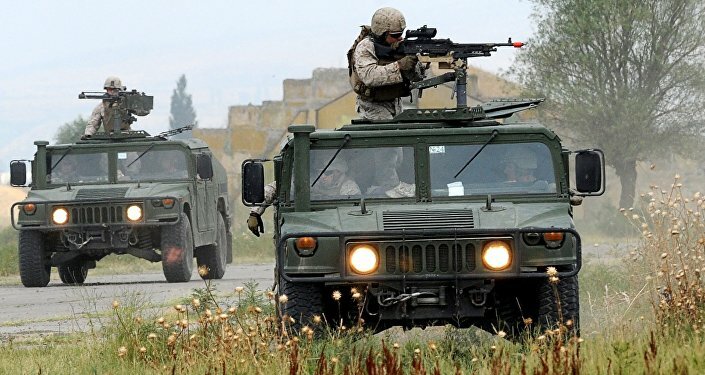 European countries are concerned about the series of military drills on the border with Russia and the rise in flights of NATO and Russian military jest in close proximity to each other," he told the website. Moscow is also concerned about the deployment of NATO contingents on Russia's borders even on a rotational basis. "The parties simply want to secure each other by signing a new treaty and there are no visible hurdles to it. If Europe and Russia want to de-escalate the conflict and move on, there is every reason to revive this treaty," he said. "If a new treaty fixes the number of military equipment deployed in Europe, it will prevent its further build-up. If it agrees upon reduction of the scale and frequency of military drills and stipulates that they should not be held on the border with Russia, it will only benefit Moscow," he added. The expert also noted that the previous treaty did not include Poland and the Baltic States, hence it would be useful to include them into the new document, stipulating what national armies could be deployed to their territories and what should be the maximum size of such a contingent.